he store strives to be not only a shop but also a place that merges Ferrari’s history and spirit. 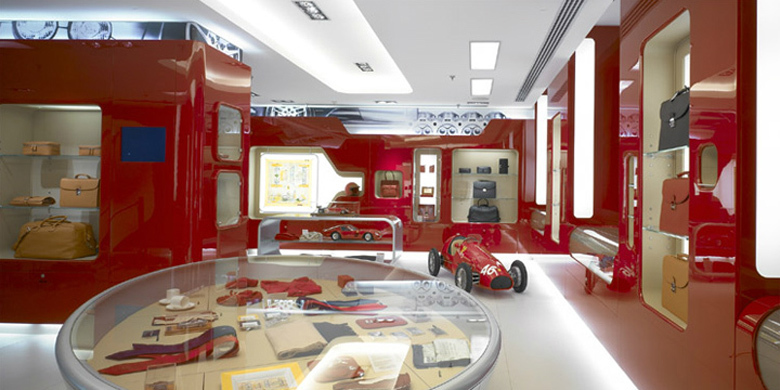 It is a place where forms, finishes and materials express the explosive soul of the world of car racing and luxury. 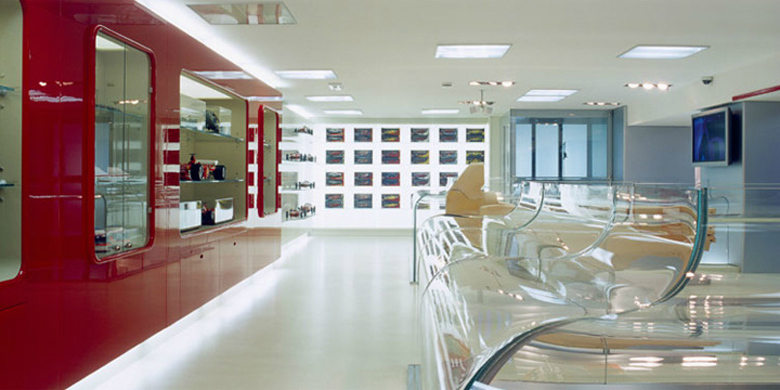 Fluid lines define the shop’s simple yet expressive design inspired by Marinetti’s futuristic aesthetics. This elegant conceptual futurism is underscored by the sense of movement induced with modern multimedia, creating at once a space that evokes the fluid lines and forceful dynamism of the Ferrari racecar. 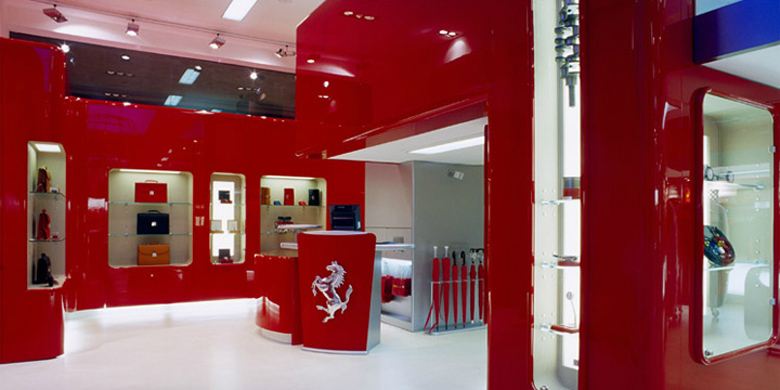 It is thus that Ferrari’s corporate identity is perfectly offset by the design and architectural language selected for the showroom.